Before we begin, as with any post I share like this, I will say that this article is mostly my thoughts. This isn't a rumor to be spread or information to bank on for your upcoming vacation. 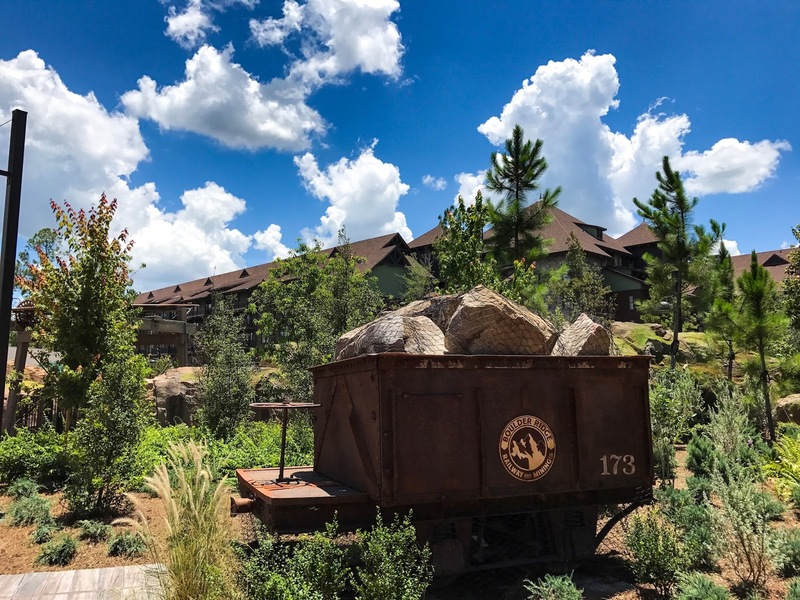 In contrast, these thoughts about Whispering Canyon at Disney's Wilderness Lodge are more of an observation than anything else. So, without putting things off any farther, here are my thoughts for the future of this location that I tend to consider a hidden gem of Walt Disney World. For those of you who have dined at Whispering Canyon in the past, chances are you've become a huge fan of the locations environment and the entire theming of the experience. The cast over the years has been incredible and this dining location has honestly become one of my personal favorite locations to dine at in all of Walt Disney World. To me, this place has character and the cast develops a welcoming and humorous dining opportunity for guests of all ages to enjoy. Sure, it's not fine dining by any stretch of the imagination, but the food is great nonetheless. Despite the "cult-like" following Whispering Canyon has among repeat visitors, it's hard to deny that it's no where near as popular as it once was. In the past, lunch and dinner were notoriously busy times to catch a meal and I can even remember a time when a reservation was required weeks, if not months, in advance for specific times. Today, that's certainly not the case. A Whispering Canyon reservation could quite possibly be made a week before or even the day of your visit. It's really fallen off in popularity and quite aggressively from my observations. For example, we'll be catching breakfast at Whispering Canyon next week. If I go on the reservations site and pick the same day as our originally scheduled meal, I'm offered a time of 9:10, 9:25, and 9:45 as alternate options. Truth be told, if I picked any time during the day for just about any meal, the same degree of varied options would remain true. To me, this is a great thing! I can catch a reservation anytime I want! However, from Disney's perspective, it's far from ideal. That's how and why I foresee some changes in the future for this great location. In some ways, I think those changes recently started with the change to "ketchup" no longer being yelled across the restaurant and multiple bottles brought to your table. It was a long time staple of the experience, but one that could be signaling larger changes in the future. When Disney was point blank asked about the change on social media, they responded saying that they had asked the cast to "turn down the volume" and a second report cited Disney stating that it was in part due to being considerate to the other guests staying at Wilderness Lodge. The first part of that response I can appreciate to a certain extent. When you walk in Wilderness Lodge, you will inevitably hear the cast members and the antics of the restaurant, but I've never once been off-put by that. The second response they shared is a little more interesting to me. First, I've never heard even one guest complain of noise at Wilderness Lodge. It may be possible if your room is one of the select few bordering the lobby in the main open atrium, but even then this seems like a stretch. I've stayed at this resort many times and never had even the slightest concern about noise. Of course, I'm not the only one who stays there so it could happen but again, I see how this could be something to look out for in the future. Changes seem inevitable but at the same time, this could be nothing at all. Maybe the cast members got sick of yelling for ketchup every so often and wanted to see a change? Obviously there's no way to know for sure, but considering other factors, such as the lower crowds at meal times, it's hard not to wonder what may be next for this portion of the resort. Right now, the "Ketchup" change is the only classic aspect of the restaurant that has gone away or is being phased out and hopefully it may be the only change going forward. Also worth mentioning here is the option they implemented relatively recently (which appears to have possibly been phased back out or is only being used sporadcially) for guests to flip a coaster up to partake in the action and fun times, or to turn it over to signal the waiter that you'd rather sit out from that part of the experience. We've seen this actually implemented 1 or 2 visits out of our multiple visits in the last 3 years or so. Truthfully, even when it was in place, it appeared as if the cast went on with their usual "act" no matter what the coaster was flipped to. This could be a big aspect of change in the future if they keep toning down the jokes and antics over time. It's no secret that a lot of society isn't quite as open to joking and poking fun at each other as it once was. Personally, I see that as essentially one of those things where if you can't laugh at yourself or at your own expense from time to time, you're really going to be missing out on a lot of fun in life. With that being said, a restaurant like this one and even 50's Prime Time Cafe over at Hollywood Studios isn't necessarily the best fit for everyone. After seeing a few things and a few speculations start to pop up online, it's hard not to think there's more to this than meets the eye. Obviously they're trying to change something or trying to appeal to a broader range of guests. Inevitably, my guess is that they are trying to draw heavier crowds back to this table service option. How far they'll change things, we'll have to wait and see to find out. One thing I will say is that it appears the changes inside the restaurant have already begun. On our last trip, back in March, we had the chance to speak with the chef and in doing so found that it is an entirely new gentlemen "running the show" in the kitchen. He was incredibly clean cut, and incredibly nice, but still stayed true to a respectable level of humor interacting with the other cast/servers when he was on the floor. When I first saw him and he started talking with our table, I couldn't help but think that the menu could be changing. At this point, I can't say that I've seen many of the "staples" of the experience changing, like the classic "Canyon Skillet," but it does appear that some changes are certainly being made over time. We'll be back over there soon, so I'll try to update you on how the food offerings may have changed once again. This chef could have just been "new to us" rather than new to restaurant, but we had never met with this same chef in the past. Truthfully, I don't see the Canyon Skillet going anywhere but at the same time, I would not be surprised if we start seeing a move away from the comedy style atmosphere into something that is more subtle and toned down in nature like Ohana at the Polynesian or even Garden Grill (Which we recently named One of the Best Breakfasts on Disney Property) Of course, this is all simply my opinion and may or may not hold true in the future. I legitimately have no "insider" info or anything of the sort on this one, nor do I claim to, but it just makes sense to me that this is likely a change in the works. 1. Things will get quieter (which they already have to a minor extent). 2. Meal offerings may make a move to "higher end" options. 3. Characters could be introduced (in my opinion this would be great and could really revitalize this place in a neat way - this may be a long shot though). 4. Physical dining room theming could change slightly. 5. There could be some cast changes. All of the above are simply my opinion, but at the same time, these are typical ways in which Disney restaurants have been revitalized in the past. Without the slightest doubt, I believe that this location has been and always will remain a hidden gem of Disney dining, but the recent changes certainly raise a certain bit of concern. Best case scenario, I wouldn't mind seeing this place remain the same as it has always been and is currently (even with the recent "Ketchup" change). On the contrary, from a business standpoint, it only makes sense to change in order to draw a greater crowd level to the location. We'll just have to wait and see what happens! What are your thoughts on this? is it just me that feels like a long term change here is inevitable or do you feel the same way? Be sure to let me know in the comments on your favorite social media platform! If you enjoyed this, don't forget to share it with friends. Your shares are genuinely the main thing that helps this site grow and we truly appreciate your support. Last but certainly not least, if you're starting the planning process, a great place to start are with some of our top planning articles! Looking for dining? Check out Disney World Dining Tips For 2018. Want to start with some more tips? 44 Excellent Disney World Tips for 2018 or Disney World Planning Guide and Tips For 2018 are a great place to begin! Looking to save money on tickets? Check out our friends over at The Official Ticket Center for great deals that even made it into our 2018 Discount Disney World Ticket selections and another great way to help us create more content through your contributions at no additional cost to you! You'll probably even save money along the way. Subscribe to our Newsletter for More FREE Disney Updates! If you're looking for information regarding any of our advertising "kick-backs," promotional benefits, or other site related support, see our Marketing Disclosure page. ©2016-2018 Collin Kendall. Guide4WDW is not associated with the ©Disney Company. Powered by Blogger.